Last weekend I went on a little adventure in New York City with my family. My husband and I both went for work, and with the holiday weekend and the end of school near we decided it would be a good time to take the kids to see the City. I have only been to NYC one other time 11 years ago, so I felt like it was all new to me too. 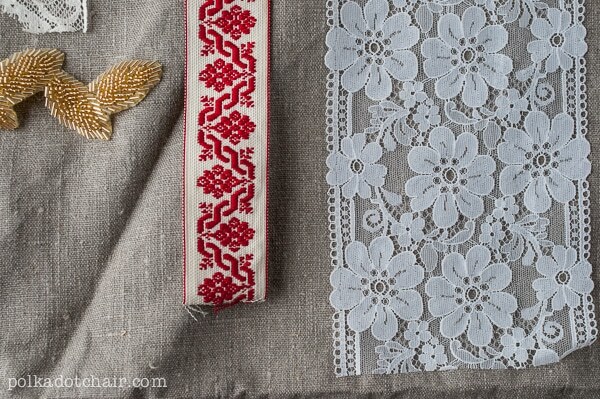 I’ll share a bit more with you about what we did later this week- but in the mean time I thought you’d enjoy some gratuitous photographs of fabric and lace! I knew that NYC was a creative bloggers dream shopping destination, however the pressure of knowing this stressed me out. Such a big city and SO much to see and only a short time to do it in. Plus I had my kids with me the whole time (most of the time by myself as my husband was in class). 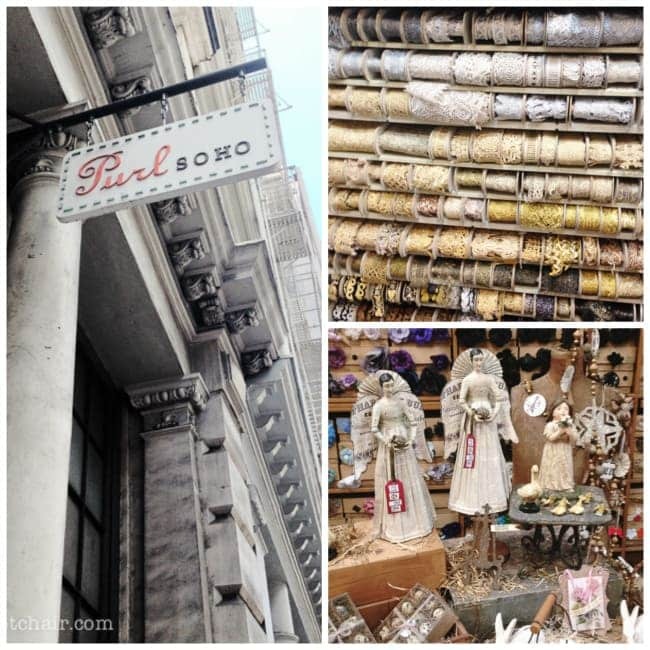 I narrowed down the list to 3 must see shopping places, although I’m sure there were more, I knew I could not drag my kids to every fabric and ribbon shop in the city. I read this post from Amy Smart and this post by Gretchen Black to help me decide where to go. 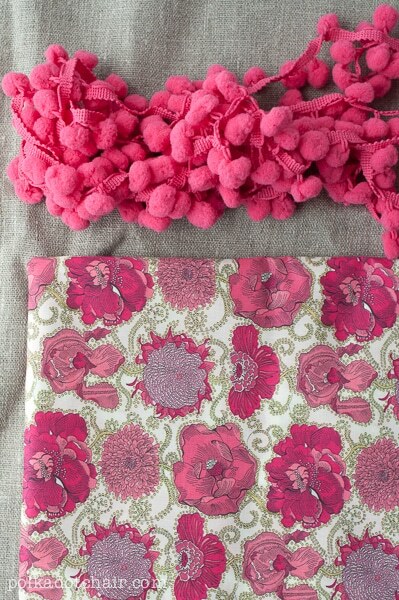 In the end I settled on M&J Trimming, Tinsel Trading Company and Purl Soho. Turns out our hotel was in the fabric district, which even though my husband does not believe me I found out when we got there (not when I booked the hotel). So M&J and Tinsel Trading were just a few blocks away. Purl Soho was further away. 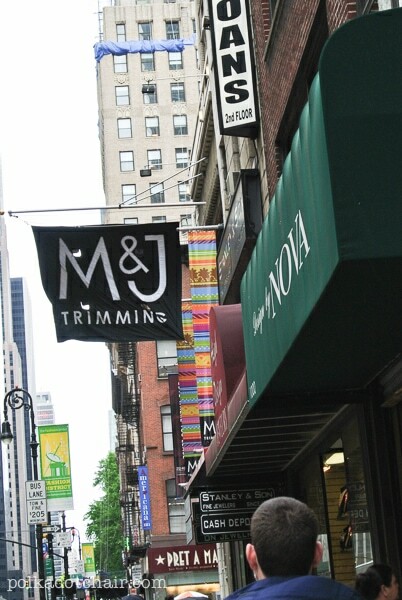 I loved M&J Trimming. Easy to see where everything was, and it there were plenty of employees to help. 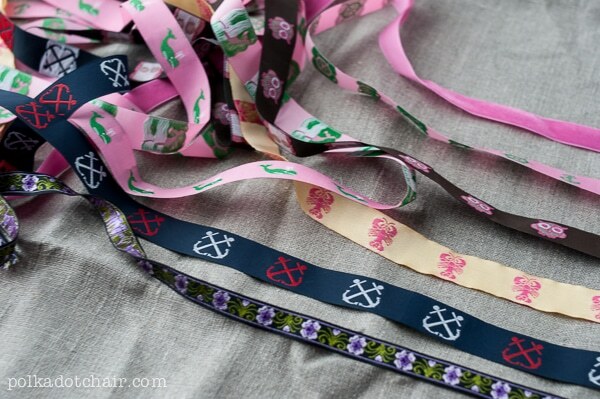 I adored browsing all of the lace and trims. After a bit though I did get slightly irritated that all of this great stuff was in one place, and it was so far from me. 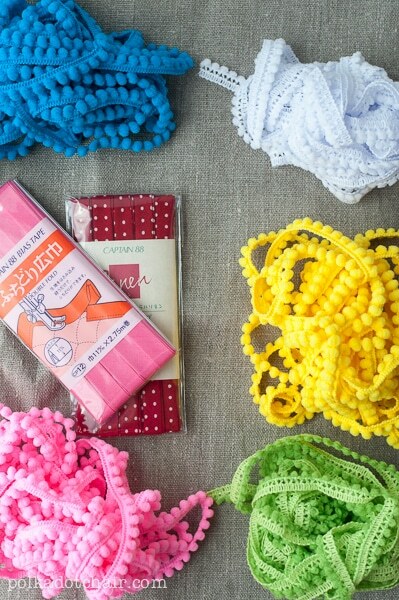 I remember looking for a certain style of lace last year and coming up completely empty shopping for it locally. Then I walked into M&J and there it was right up front. uuugggghhh. 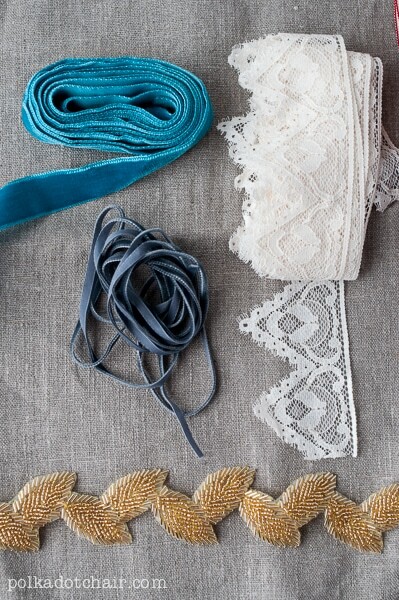 My daughter help me dream up a few projects while in the store and we managed to pick up some fun lace and trims. You’ll be seeing all of these this summer on projects! 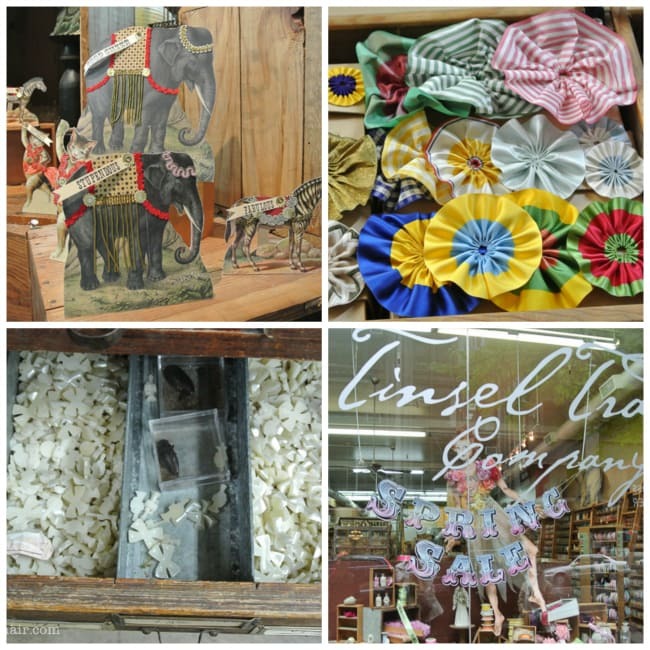 Next up was Tinsel Trading Company, which is very close to M&J just a few blocks away. I’ve wanted to go to this store FOREVER! It did not disappoint. It was all glitter and vintage. Heaven. So inspiring. 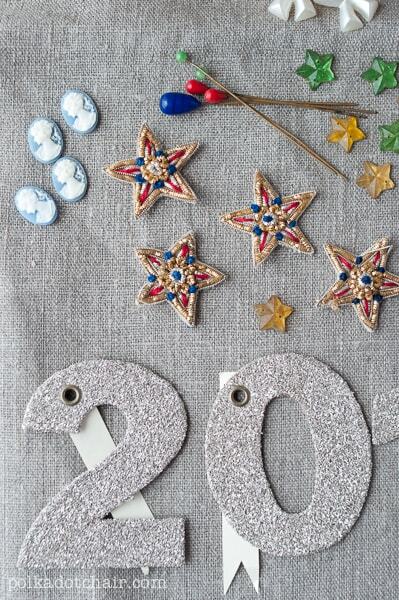 I picked up some fun vintage baubles and a bolt of very thick bakers twine. Last up was Purl Soho. We decided to go to this one on Saturday and it turns out that the Subway from near our hotel to Soho did not run on the weekends, so we hopped in a cab. 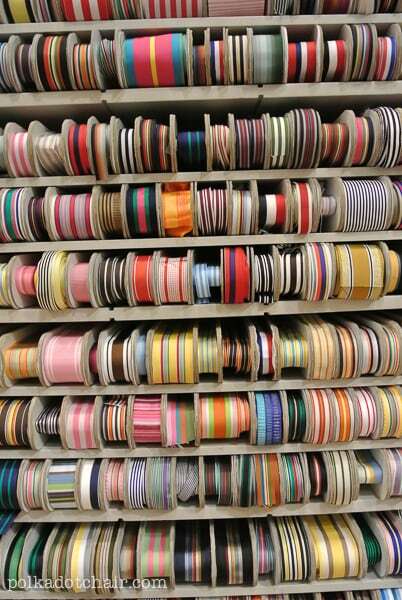 My son was THRILLED that we were going to another fabric store (can you sense the sarcasm in that sentence?) but he was really nice to sit by and let me shop. I didn’t take any photos in the store as they said that they do not allow bloggers to take pictures. But I’ll share with you what I picked up. 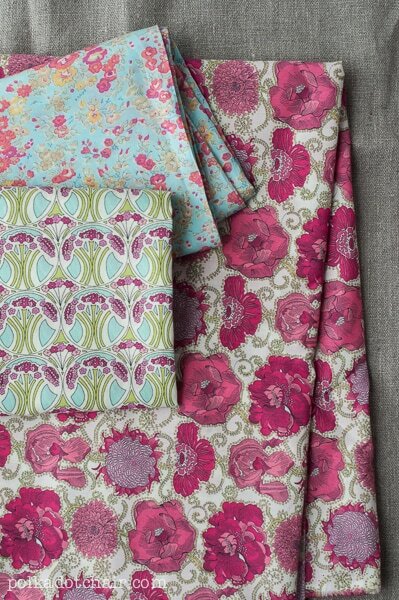 I could not resist the lovely Liberty Fabrics there! It was the splurge of the trip for me, 2 yards all together. I’ve got fun plans for this fabric. 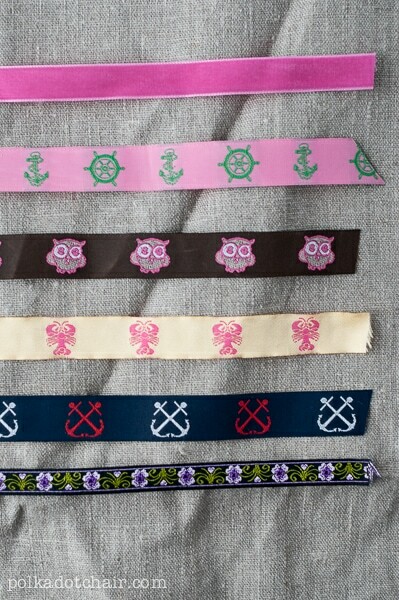 I also picked up an assortment of trims, at $1 and $2.50 a yard these were one of the bargains of the day. I just adore all of the bright colors, I’m not sure what I’ll do with any of it yet, but shopped for everything in a few specific colors so they would match when I got home. Anyone else have any favorite spots in NYC to shop? I don’t know if we’ll be back soon, but I like to keep a list handy just in case. Only 3 shops to choose? Eeek! Although that’s why I don’t do too much research for places, then I’m not disappointed on missing out on the million and one things I couldn’t possibly cram in! Too weird about the photos at Purl Soho, why turn down free advertising?! That’s a really good idea Katy, I like the idea of just having “happy surprises” instead of worry that I’m missing something the whole time. 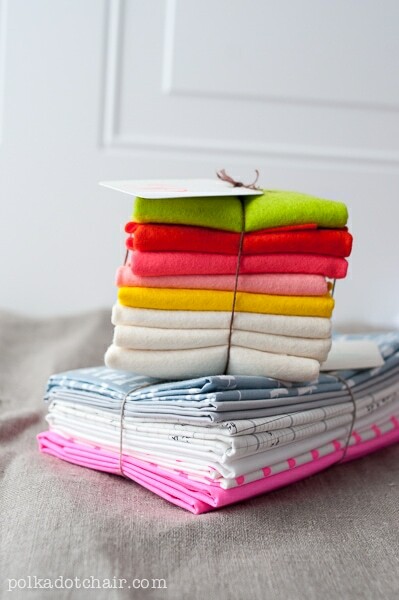 I agree about the photos at Purl… who knows. Oh I loved reading this, and your pics!! We went to NYC in April/May last year, for 10 days – from Australia! We’d previously been in 2009 and loved it so much we had to go back. We have two girls, who are now 9 and 11, so we had to make our days work around their little legs. 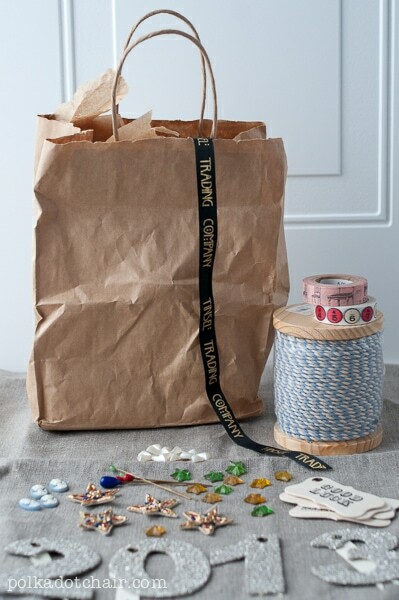 I did lots of research before we went – and we also went to Purl Soho, M&J Trimming and Tinsel Trading! (and the Met, which is your first photo?). We also went to an amazing button shop – Tender Buttons – on E62nd, and to Marimekko on the Upper East Side too – so fabulous. And Pearl River and Muji were a lot of fun, just round from Purl Soho – and how awesome is it that Kate Spade is opposite Purl Soho! – you can’t buy Kate Spade in Australia. 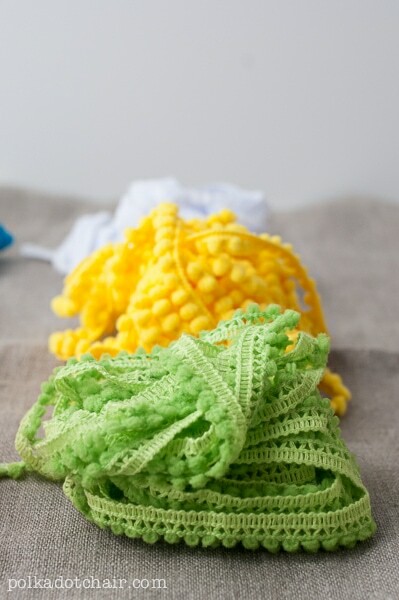 I was a little disappointed in M&J – but mainly because I was looking for cute trims rather than ribbons – I can’t believe how cute your baby pom pom trim is!! 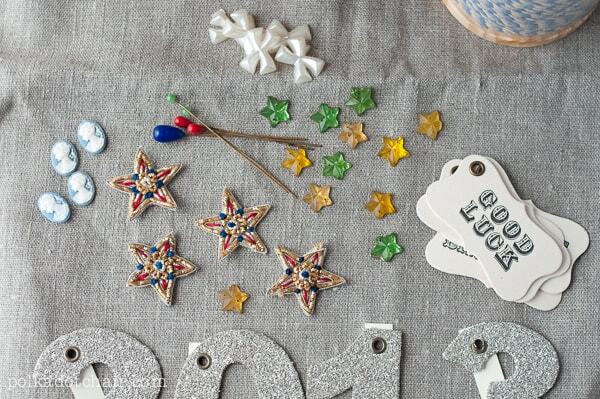 I REALLY loved Tinsel Trading, I could have taken the whole shop home with me – I love all the goodies you bought. 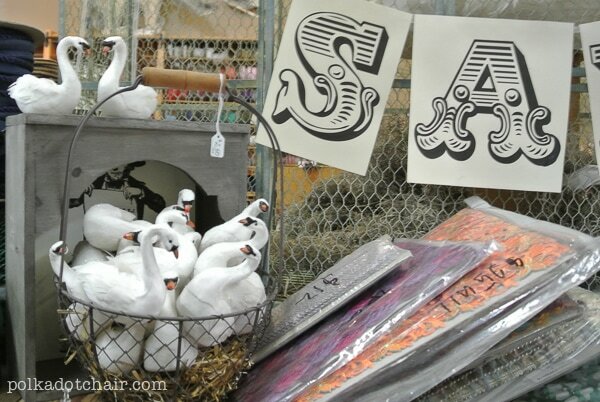 I loved Anthropologie – another shop we don’t have. We went to the best kids’ book shop – I think it was called Book of Wonder, on maybe West 18th? SO good. 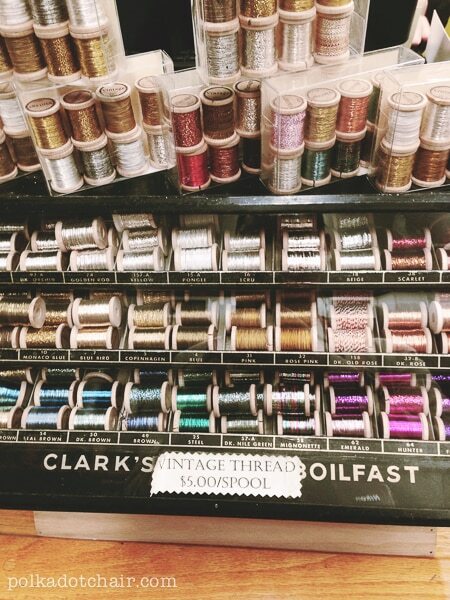 We chose not to go to City Quilter but I really wish we did go there – I tried to not drag the family to too many fabric/crafty shops, and CQ has such a good online shop – but I still really wish we went there! We did so much in NYC – MoMA, the Met, the Guggenheim, a Mets game, the Public Library on Fifth Ave to see the lions and Winnie the Pooh, a couple Broadway shows, American Girl, Tiffany’s, we went up to the crown in the Statue of Liberty (in 2009), lots of time in Central Park, the Rockefeller, Empire State, the Highline, Toys R Us, FAO Schwarz, Steinway (my husband loves the piano), Carnegie Hall, Dylan’s Candy Bar – that was the girls’ total favourite. Rita from Red Pepper Quilts went to NYC around the time of the marathon last year (the one that was cancelled due to weather, I think it was last year) – I’m sure posted on her blog about shops she found. Hope some of that helps for your next trip!! I would go back to NYC in a flash, I absolutely love it. Cat. When we got out of the cab and I saw Kate Spade and Purl right next to each other my heart skipped a beat! 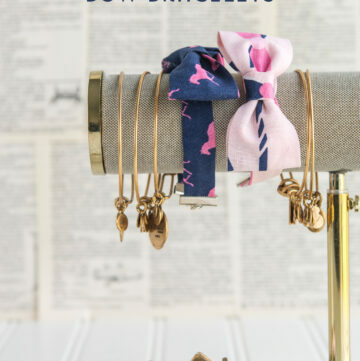 I adore Kate Spade too! 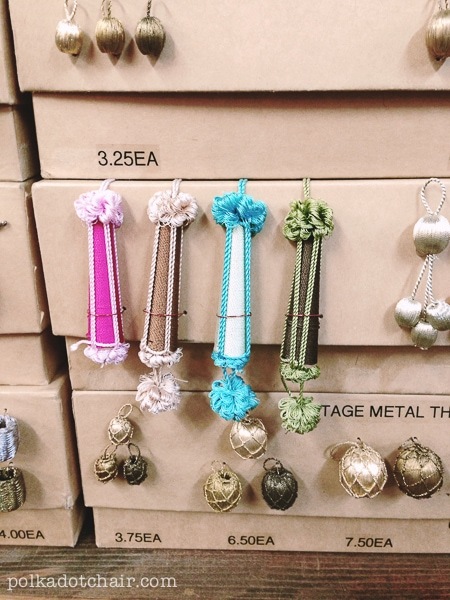 I agree with you about Tinsel Trading company, I’d like to just box up that whole store and take it home with me. 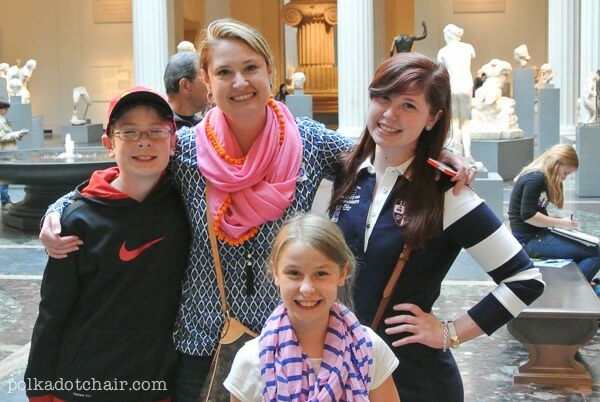 We made it to the Met and the MOMA, but left so much “undone” that we need to take another trip back soon. Thanks for all of the recommendations! I am sooooo jealous! What fun that must have been and how hard was it deciding what to purchase. Looks like you got a great selection of treasures to have fun with. I have never been to NYC but it is on the bucket list. It was a lot of fun but so much pressure at the same time! I was so worried that I’d come home and think “why’d I buy that?” but so far so good! NYC is one for the bucket list for sure! What great finds!!!! 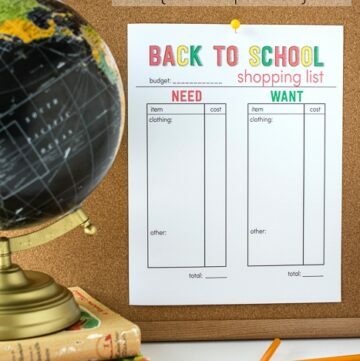 I’m already a sucker for Hobby Lobby and JoAnn Fabrics. If I had access to these stores in New York, I would be doomed! That’s lame, though, that Purl Soho wouldn’t let you take pics in the store. Weird. Em! I think I’d be doomed too if those stores were close by!! So much tempting shopping all of the time! Looks like lots of fun! I visited Purl Soho when we were there also, and I must say that it was not the experience I had hoped for and expected. I ended up buying a couple of small things, but realized I could buy the same exact fabric and notions much cheaper online so really did not splurge. I could go on about my experience there, but won’t. :) When I go back, I will probably not return to Purl Soho, but will try to find some of the other stores you have mentioned and more. Can’t wait to hear about your full experience! I was a bit disappointed in Purl too— I didn’t really want to admit it but I don’t think I’d go back. The girls at the store were super nice and extra helpful but I really wanted to find more things that I couldn’t get at home. Plus the no picture policy rubbed me wrong. City Quilts was next on my list and I wish I had made it there I’ve heard lots of good things about that store. All the more reason to go back.. and YES you are spoiled!